Remember our 2018 summer road trip? Yeah, neither do I! 😆 Posting about that trip kind of got away from me, and it has been so long since I posted about it, that you may not even remember that it started at Carlsbad Caverns. That is about as far as I got on the trip reports. I’m a slacker for sure. We had an amazing time, and hit so many exciting places along the way. It is high time I finished telling you all about it. 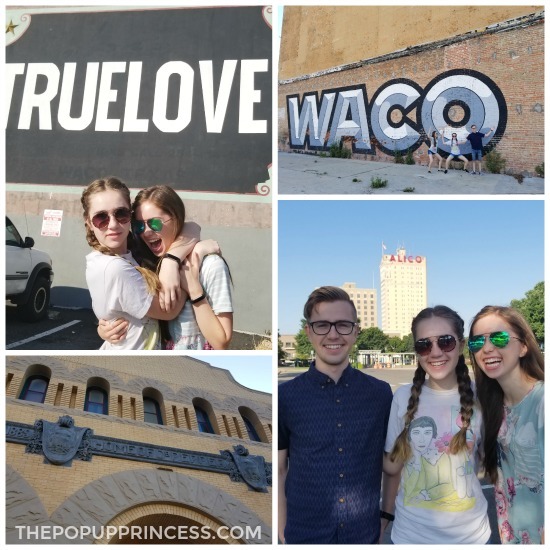 The second stop on our crazy summer road trip was Waco, Texas. When I first mentioned Waco to Mr. TypeTwoFun, he could not for the life of him figure out why we were visiting. The only thing that came to mind when he thought of Waco was the government stand-off at the Branch Dividian compound. 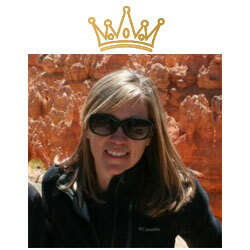 But if you are a big fan of HGTV (and I am! 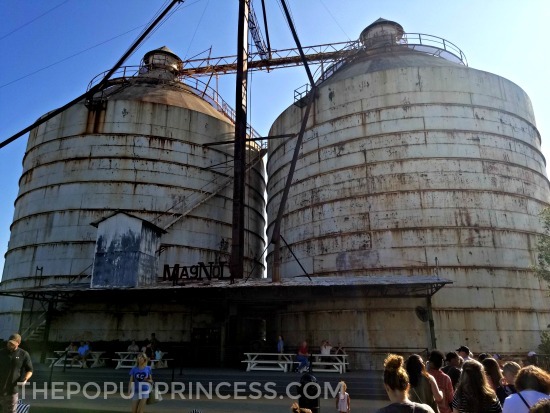 ), you’ll know that Waco is also the home of Magnolia Market and The Silos. I often have Fixer Upper running in the background as I go throughout my day at home, so I really wanted to stop and see what all the fuss was about. 😉 Since my girls are big fans, too, we worked this stop into our trek out east. It took us a bit longer than we expected to get from Carlsbad to Waco, and–if you can believe it–I didn’t have reservations anywhere. We knew we wanted to stay in a hotel, since we were only stopping for one night and Waco is pretty warm in May. It’s always a little dicey to stay in a hotel when we are towing the camper behind us. Often there isn’t room in the parking lot for us to pull through, and even though I called several hotels in Waco before we left, no one was sure there would be a spot where we could park. It was out of my comfort zone, but we had to wing it. 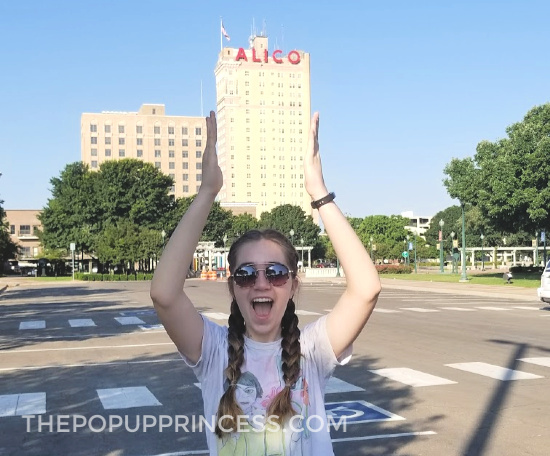 After driving around Waco for a bit, and failing miserably at finding a place to stay, we happened across the Waco Hilton. The Hilton shares its parking lot with the Waco Convention Center, which provided ample pull-through parking. It was a little pricey–though nothing like what we paid in Carlsbad–but it was close to downtown and we were able to walk to Magnolia Market the next day. I love it when we can leave the camper all hitched up and avoid driving it through downtown areas. Added bonus! It was right across from the Alico building, which my kids were familiar with from watching Fixer Upper. Of course, we had to snap a couple of shots with the building in the background. We also had a great view of the Brazos River from the hotel. You might also recognize that from Fixer Upper. The next morning, we woke up bright and early and headed to Magnolia. There is actually a shuttle that runs right from our hotel through downtown Waco, but we headed out a little too early to catch it. We didn’t mind the walk at all, though. It took about 15 minutes, there was plenty to see, and my teens loved all the artwork on the buildings. It made for some great Instagram shots. And if you are a fan of Dr. Pepper, there is a museum dedicated to the popular drink right in the downtown area. Apparently, Waco is where Dr. Pepper was created. Who knew? If we’d had more time, we definitely would have hit that place up. Mr. TypeTwoFun loves his DP. We could see The Silos from several blocks away, so we didn’t even really need GoogleMaps to find our way there. We also happened to be visiting on Memorial Day (crazy on our part, I know!) so we could also have just followed the steady stream of people heading to Magnolia Market. Yikes! It really was pretty crazy. 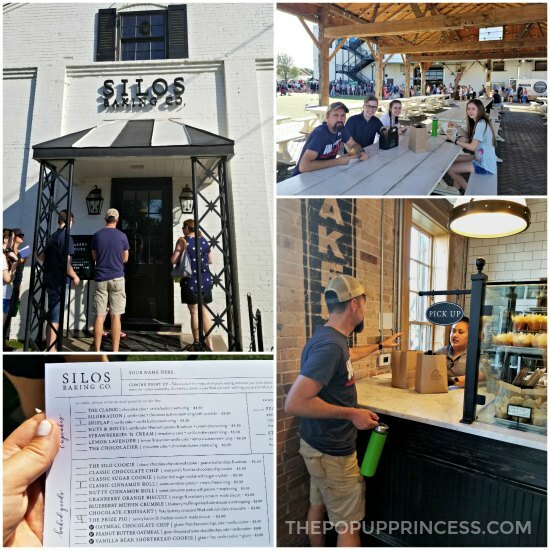 We arrived a full hour before the market opened, so we decided to hop in line at Silos Baking Co. and order something for breakfast. That line was crazy, too. Although I was overwhelmed at the length of the line, it actually moved really fast. A few minutes before we got to the door, we were handed an order card. This made the whole experience super easy. The kids ordered a cinnamon roll to share and a couple of The Prize Pig bacon cheddar biscuits. We also got a cute cupcake for a road trip treat later on. Honestly, everything was decently priced, and we were really happy with the quality. 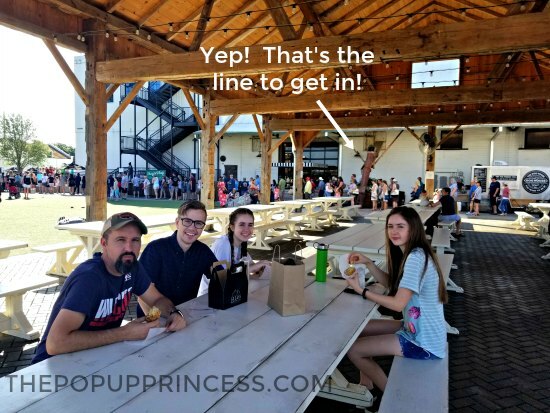 There are even tables along the lawn in front of The Silos, so we grabbed one and ate a quick breakfast before getting in that HUGE line for Magnolia Market. Since we had come all the way to Waco, we begrudgingly got in another huge line to get into the market. This one moved pretty quickly as well. I would definitely recommend getting there early and avoiding holidays, though. 😆 Once the sun comes up, the Texas summers are brutal. No matter how fast the line moves, it is still sticky and hot in the sun. We picked up some gifts and got ourselves some souvenir Magnolia Farms t-shirts to commemorate the visit. If you are short on space, though, I would recommend shopping online instead. 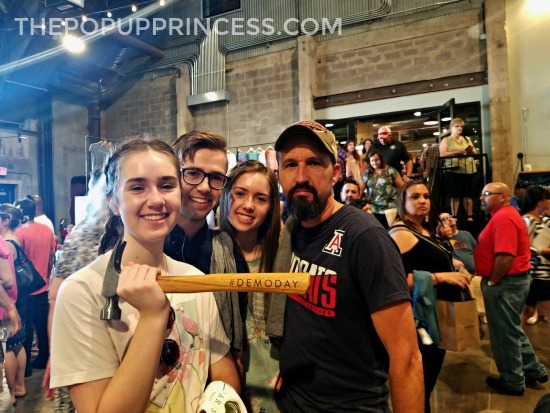 Magnolia Market often has free shipping and great sales, and it is far more convenient than loading up the car full of treasures. 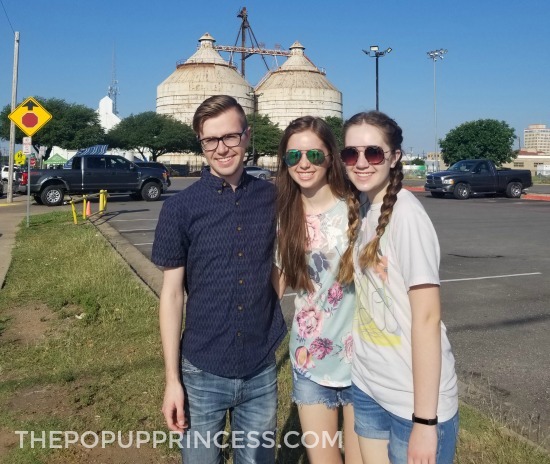 I am glad we made the trip there, and if you are a fan of the show, you should definitely make it out to The Silos at least once. You just may not want to purchase much. Once we had Magnolia out of the way, it was time to see what else Waco had to offer. We took the shuttle back to the hotel, and it actually very interesting. The shuttle employs volunteer tour guides to give a history of the town along the way. We always love learning a little more about the towns we visit, so this was really cool. And it was free, so bonus! 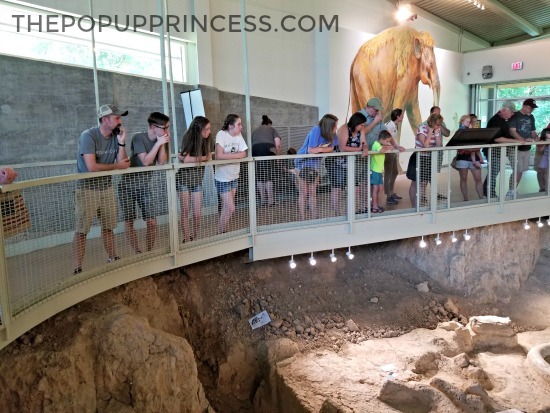 On the shuttle, we heard a little more about Waco Mammoth National Monument, and decided to add it to the itinerary on our way out of town. I had hoped this would be another freebie, since we have an America the Beautiful pass, but that was not the case here. The park has a gift shop and you can look through the educational materials at the guest center, but to see the actual mammoth exhibit, you’ve got to purchase tour tickets. 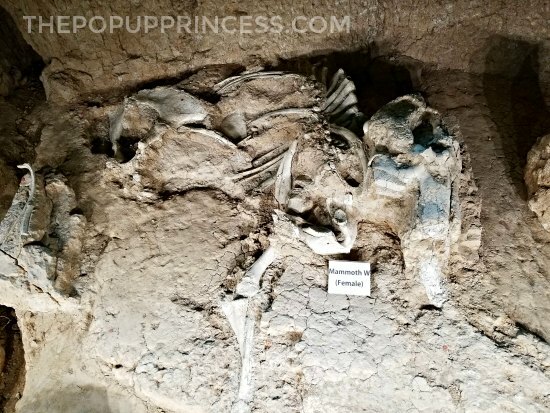 The fossils are housed in a dig shelter that is a short walk away from the guest center. Tickets run $5/adult. Seniors and older students are $4. Students 6th grade and under are $3. It cost our family about $22 to view the mammoth exhibit, which I felt was a little on the pricey side. We spent less than an hour on the total tour, and my kids got a little bored about halfway through. 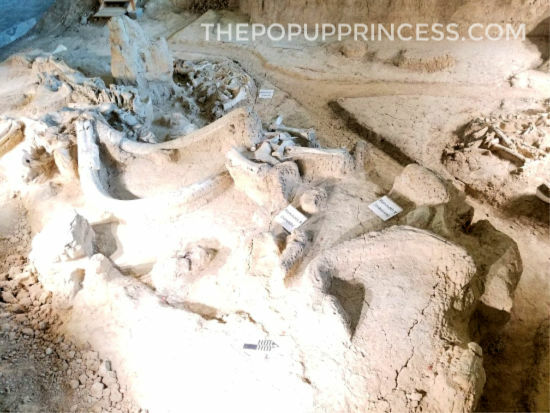 The mammoth bones themselves were very cool, and if you have a budding archaeologist in your family, this may be just the place for you. If your kids are pretty young, though, I might advise skipping this one. There aren’t many hands-on exhibits, and the ones that little ones can explore are back at the guest center anyway. I did feel a little better knowing our tour fees were going to support the national park, so it wasn’t a total loss. We are big lovers of the National Parks System. Fixer Upper has made Waco, TX a bit of a popular tourist destination. 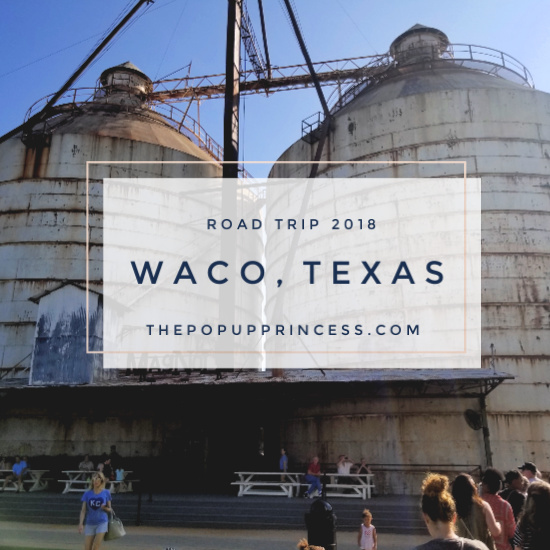 We had a little trouble finding a hotel, but there were some campgrounds–such as Midway Park, Speegleville Park, and Airport Park–available around Waco Lake. There are also a few private campgrounds and RV resorts not far from downtown. Since Waco is a popular destination, make your reservations early. Midway, Speegleville, and Airport Park Campground reservations can all be made in advance online at recreation.gov. Got a favorite campground near Waco? We’d love to hear about it in the comments below. If you are towing a camper, check out parking near the convention center. There are pull through spots, and a shuttle than runs from the area to some of the more popular downtown spots, including Magnolia Market. If you don’t mind the walk, you can also hoof it through downtown. It is really an interesting walk, and The Silos are only about 15 minutes away. 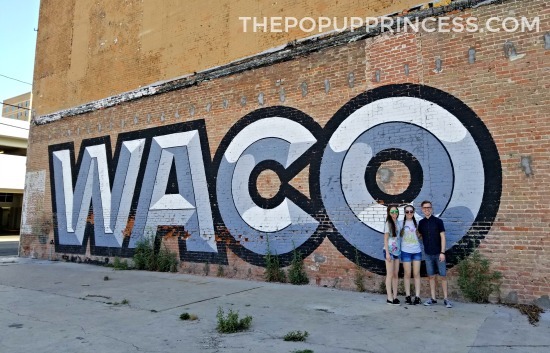 We found that awesome WACO wall mural on that little walk. If you plan on visiting Magnolia Market, our number one tip is to plan your visit for a weekday and get there early. We visited on Memorial Day, and it was crazy busy. It helped to arrive early in the morning, but the lines were still super long. I’m sure a normal weekday would have been much less crowded. Waco National Monument was interesting, but it is probably better suited to older kids or archaeology buffs. Your America the Beautiful pass won’t get you into the dig shelter to see the fossils, so you will have to pay $3-$5 per person for a tour fee. If money is tight, it might be best to skip this one. *Indian Springs Park & the Suspension Bridge…this is one of the iconic “Waco” places that doesn’t take a long time to see, but is important in Waco history. You can get to the river walk from here, which is a nice place to take a walk on a pretty day. *Cameron Park…one of the largest municipal parks in Texas, Cameron Park has hiking trails for every level, mountain biking trails, horseback riding trails, disc golf, a splash pad, several playgrounds, a natural spring and is just beautiful. We love exploring this gem and recommend it to everyone who comes here! The zoo is nice and well done, if you like zoos, but I really love exploring the park itself and all it has to offer. *Lake Waco…it’s a fun Lake! There are a couple “beaches” and while some of it is still recovering from heavy flooding we had, it’s still a favorite place among many of us locals. Walking along the top of the dam gives you a great view of the lake! The Lake Waco Wetlands are also a fun place to explore! *Dr. Pepper Museum…You should come back and go…it’s really interesting! Lula Janes Restaurant and Bakery…recently named by Yelp as one of the top 100 restaurants you must visit in the US, Lula Janes has been a local Waco favorite for many years now. The Olive Branch…another wonderful local restaurant downtown that we enjoy! There are many, many more reasons I love living here, but these are some of my personal favorites! I grew up in Dallas and my college roommate grew up in Waco so we have been visiting since before it was a cool place to go. There are actually quite a few other fun things to do-The Dr. Pepper Museum, the Texas Ranger Museum (like law enforcement, not the baseball team), the Mayborne museum on the Baylor Campus and the Waco Zoo.